Galaxies are giant groups of millions or who knows even trillions of stars. Did you know that there might be around 20 trillion or more galaxies in the universe? 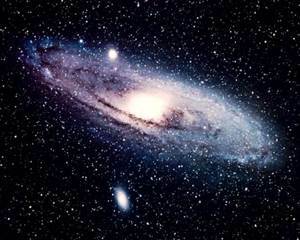 · There are 4 types of galaxies Spiral galaxies, Irregular galaxies, Elliptical galaxies and barred spiral galaxies. · Irregular galaxies are galaxies with no known shape possible theories on how they may have formed is from whatever was left after other galaxies crashed into each other such as the Magellanic clouds. · Barred spiral galaxies have just two arms these are spread across the galaxy’s core from which the arms trail like water like a spinning garden sprinkler. When galaxies get too near to each other they pull each other into a weird shape the larger galaxy often swallow the smaller galaxy.